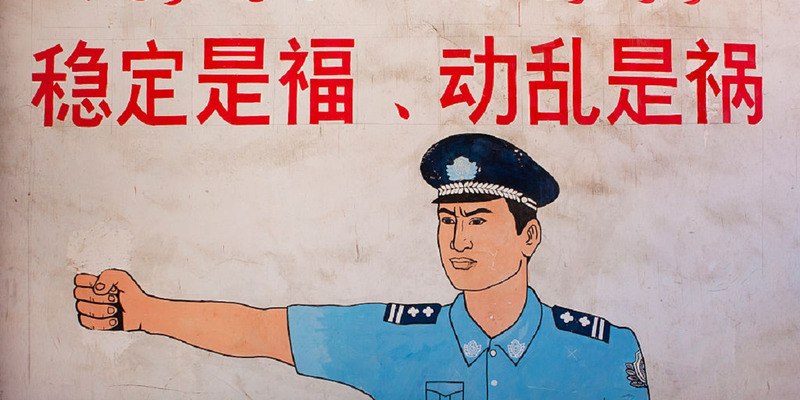 Eric Lafforgue/Art in All of Us/Corbis via Getty Images‘Stability is a blessing, Instability is a calamity,’ reads graffiti on a wall in Yarkand, Xinjiang Uyghur Autonomous Region, September 20, 2012. The landlord was arrested under the country’s counter-terrorism law, which took effect in early 2016. Police in central China’s Henan province arrested a Han Chinese man who had privately rented out his home in Zhenping county to three Uighur bread-sellers, according to a notice released by the Zhenping county police obtained by Radio Free Asia. “This act is identified as a violation of Article 91 of the Counter-Terrorism Law of the People’s Republic of China,” the notice said of the incident that occurred earlier this month. The landlord was arrested as a counter-terror measure under the country’s counter-terrorism law, which took effect in early 2016. The law punishes “refusal to cooperate” with agencies enforcing precautionary measures against what the country deems threats of terror, and carries a fine of $US290 to $US1,400 and up to 15 days in jail. And while the law makes no mention of prohibitions against renting property to Uighurs, the minority group is often racially profiled, and is subjected to some of the world’s strictest surveillance measures. According to the World Uyghur Congress, a rights organisation comprised of exiled Uighurs, the group is regularly banned from staying at hotels or other forms of accommodation. 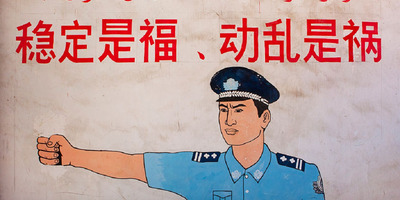 During the 19th Party Congress, where members of the Communist Party meet in Beijing to elect delegates, Uighurs were forbidden from staying in the capital due to “security concerns,” WUC said, and at least one hotel in southern province of Guangdong was fined for hosting a Muslim Uighur guest. And it’s not only their movements inside the country that are heavily surveilled. A young Uighur man studying at a university outside of Xinjiang told Radio Free Asia that the government’s crackdown on Uighur passports prompted him to flee the country. “As soon as they imposed the collection process, I made the decision to leave-I gave up everything that I had in China,” he said. Earlier this month, a UN panel said it was “deeply concerned” by China’s arbitrary detention of up to 1 million Uighurs in detention centres called “re-education camps.” But China continues to deny the existence of these camps, despite growing witness testimony and surveillance footage of the centres.